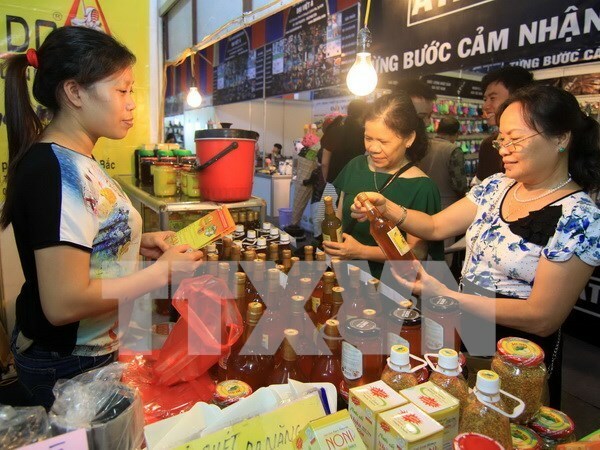 Hau Giang (VNA) – The Mekong Delta province of Hau Giang opened a trade and industry fair on July 11 as part of the activities of the Mekong Delta Economic Cooperation (MDEC) Forum 2016. The event aims to support enterprises from the region and outside to promote their brand-names, goods and services, as well as expand their potential markets. It sees the participation of nearly 1,000 booths from over 400 enterprises, featuring local high-quality agro-industrial and craft products. According to the organisation board, this is the largest trade fair that ever took place in the province.